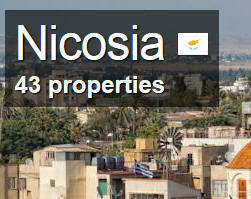 Nicosia centrally located capital of Cyprus largest populated city of the island. Cyprus is an outdoor mecca riding, windsurfing, paragliding and even skiing in Nicosia. 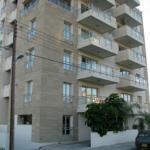 Nicosia list of accommodation. Local property Accommodation in the town. Nicosia’s sights are concentrated in and around the Old City, surrounded by a picturesque star-shaped city wall whose moat has been converted into a pleasant park. Wandering around the old City is an interesting experience in itself, although some buildings are derelict and crumbling. Note that many sights in the Old City close early, so try to get an early start – also a good idea for beating the heat in the summer. You can visit museums such as Cyprus, Byzantine, National Struggle or Ledra Observatory Museum, where it’s possible to see the division of the island. On the other hand, try and explore the smaller City Streets, small enough to easily do this on foot. Visit a traditional Cypriot Cafe, and sample a Cypriot Coffee. Greet the locals. Make sure you visit the green line and view all of the City from the Watch tower, into both North and South. The traditional shopping district runs along Ledra street and its tributary roads within the medieval walls of the city. A bustle of traditional jewelers, shoe and fabric shops give a blend of Middle Eastern and European feel. 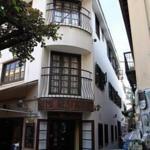 Laiki Geitonia is a pedestrianised neighbourhood that has been preserved in its original architecture and is the best quarter if you are after souvenir shops. Traditional Cypriot cuisine is a melting pot of south European, Balkan and Middle Eastern influences. You will find most Greek, Turkish and Arabic dishes, often with a local name or twist. The food is high quality and somewhat cheaper than in the most Western capitals. The substantial student population supports a flourishing industry of bars, pubs and nightclubs which keep the old city alive. Cypriots are true socialities and spend most of their time out as opposed to at home. Coffee culture is a way of life in Nicosia. It is the place to see and be seen in the afternoon to early evening. In the summer months, Tables spill onto the streets. Cyprus North and South Marco Polo Pocket Guide (Marco Polo Travel Guides). Most travellers want to have fun and feel relaxed from the moment they arrive at their holiday destination – that’s what Marco Polo Guides are all about. This new series will appeal to all types of travellers, including those who haven’t bought a travel guide in the past! Experience all the attractions of Cyprus with this up-to-date and authoritative guide, complete with Best Of recommendations. You’ll find fabulous hotels, authentic restaurants, the trendiest places to go and the best nightlife spots, as well as tips for shopping and getting by on a low budget. There are also ideas for those travelling with children and for active pursuits as well as a summary of the island’s main festivals and events. Further sections include: Travel Tips, Links, Blogs, Apps & more, Greek and Turkish phrases and index. Cyprus was once the home of Aphrodite, the goddess of love. And indeed, the divided island, just under half the size of Wales, is a beguiling place: its clean beaches, clear blue waters and a hospitable and cultured people speak for themselves. With MARCO POLO Cyprus you can follow in Aphrodite’s footsteps along miles of sandy beaches and impressive sea cliffs. The practical, pocket-sized guide leads you to a destination notable as an island of adventure and for its excellent cuisine. But don’t just be content with the active side of the island: immerse yourself in its 9,000-year history! The Perfect Route reveals the island in all its variety, from the Turkish north to the Greek south, and takes you along the nicest stretches of coast, through the divided capital Nicosia and into two glorious mountain ranges. The Best Of pages highlight some unique aspects of Cyprus, recommend places to go for free, and have tips for things to do if it rains and where you can relax and unwind. Find out what’s currently in vogue in Cyprus simple rural holidays in preference to chic, for example. The Insider Tips reveal where artistically minded people congregate and where delicious ravioli is prepared right in front of you, while panels in each chapter suggest things to do if you’re on a tight budget and where you might pick up some real bargains. The Excursions & Tours chapter takes you on some great day trips to discover the island’s scenic variety. For the actively inclined Cyprus is an outdoor mecca: riding, windsurfing, paragliding and even skiing are detailed in the Sports & Activities chapter. Finally the Dos & Don’ts explain why it’s not worth taking a mini-cruise to Israel or Egypt and explain etiquette for visitors to monasteries and mosques. MARCO POLO Cyprus provides comprehensive coverage of all parts of the island. To help you find your way around there’s a detailed Road Atlas, a useful map of Nicosia in the cover, plus a pull-out map. Take A Break Holidays takeabreakholidays, Nicosia Accommodation.